Enjoy a wee bit of sounding, but in need of an extra buzz? 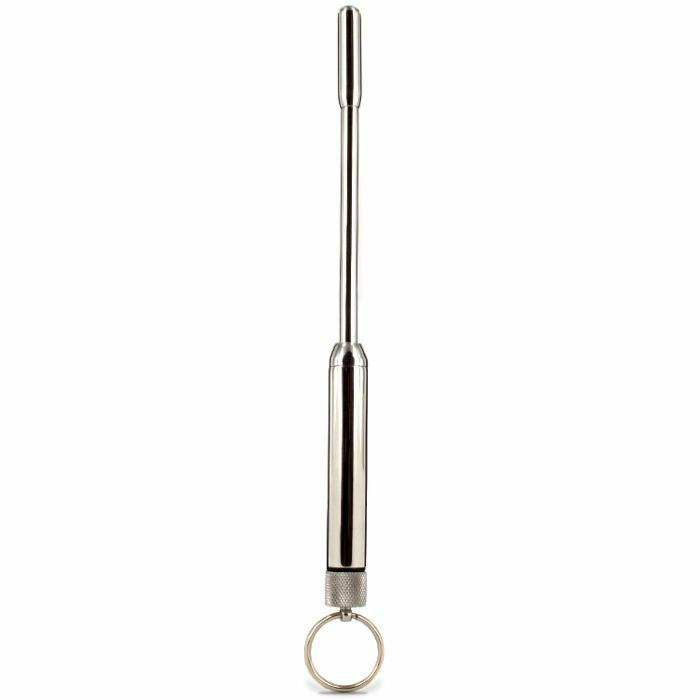 Look no further than our Stainless Steel Vibrating Urethral Sound! This innocuous toy can be used in many ways be it nice, tickly or devious. It can be used as a sound, stretching the urethra whilst giving immediate and pleasurable sensations, but it can also be used for external stimulation, teasing any part of the body. This satisfying sound also has the added effect of vibrations, which will take your play to another level of intensity. Made from fine quality, body safe stainless steel, this vibrating urethral sound is phthalates free and durable. The tapered tip will facilitate gentle insertion, while the finger pull will accommodate quick and easy removal. The combination of urethral stretching and scintillating vibrations creates all new and unique sensations that guarantee to give you a buzz. Choose from a 9mm or 11mm diameter today.